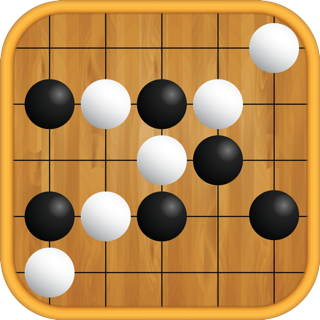 This is the classic sudoku game for beginners and experts. 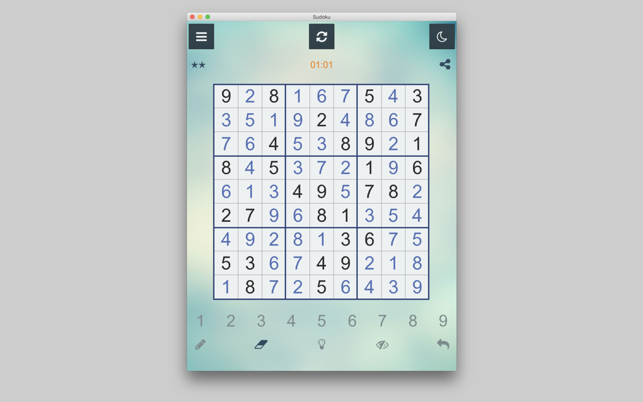 If you want to relax or keep your mind active, you can enjoy this fantastic Sudoku game. 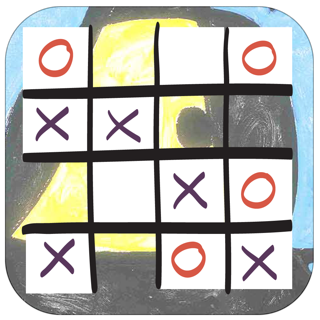 Sudoku's app offers the same great experience of playing Sudoku with paper and pencil. Choose any level you want. 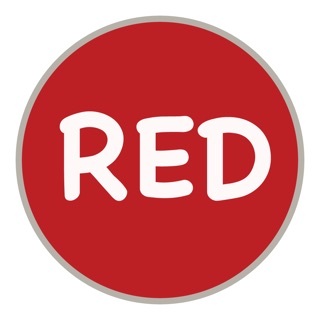 Play simpler levels to exercise your brain or try expert levels to make your mind work. 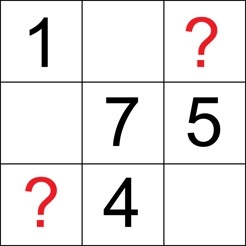 There are millions of Sudoku puzzles of 4 difficulties: easy, medium, difficult and expert. 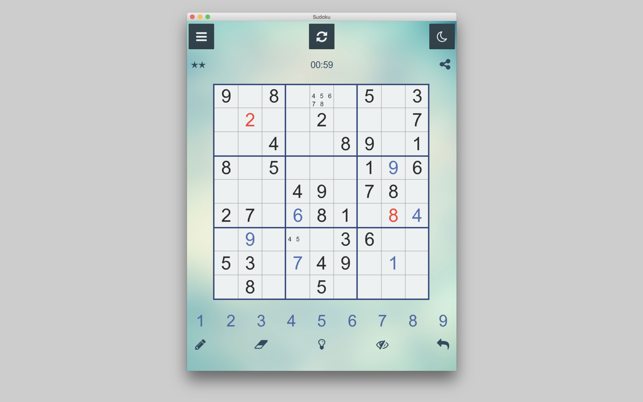 The sudoku app is designed with excellent features to make the game easier for you: tracks, automated controls and highlighted duplicates. You can use them or take the challenge manually without help. It depends on what you prefer! 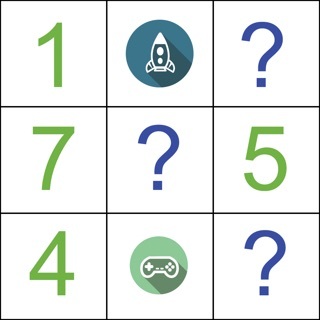 Challenge your brain with Sudoku anytime, anywhere! 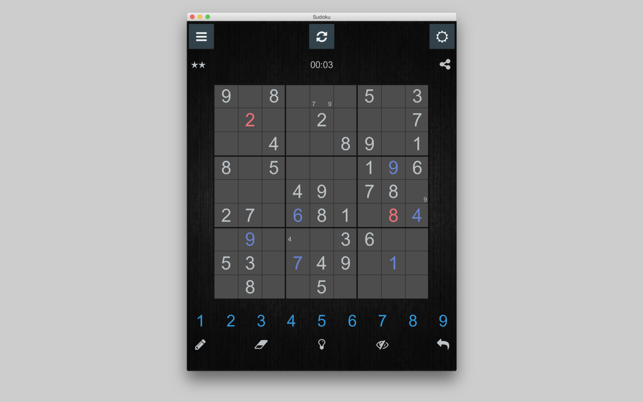 Great sudoku game for Mac. Really enjoyed it! Intuitive, many ranges of difficulties, and custom games can be opened! 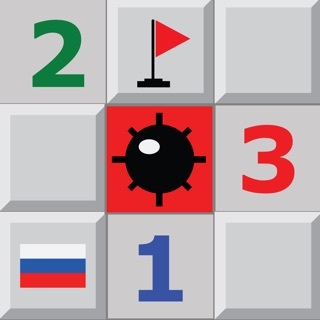 Very enjoyable sudoku game. 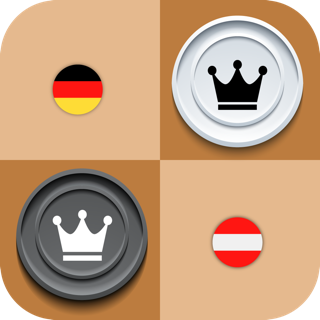 Puzzle configurations are fare and not impossible to play.